The kerosene heater is a space heating device that is portable, perfect for homes and garage and uses kerosene to heat up. Some people do not prefer buying the heater until it’s winter, and as the chilly days begin, they understand the importance of this device. During the winters, there are chances of a power cut off and you warming up the room become the biggest challenge of life. In such a situation, the kerosene heater serves as the best backup plan. 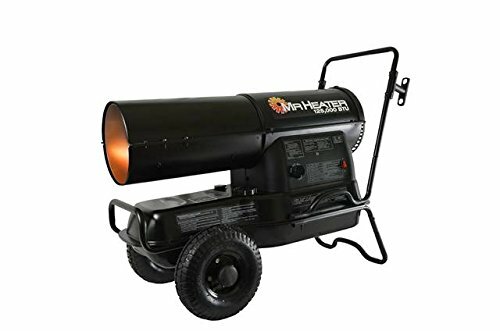 These heaters are safe to use as well as portable. Just like any other device, it is vital that you follow the guidelines to ensure the efficient use. Multiple manufacturers have joined the business of making kerosene heaters and thus when you go to buy one; you will notice some brands. In such a case, there are chances that you may get confused which are the best kerosene heater for your home and garage. For this reason, we have compiled a list of kerosene heaters in 2019 for home and garage so that decision making is simpler for you. There are two different kinds of kerosene heaters available in the market that you can buy for your home and garage. 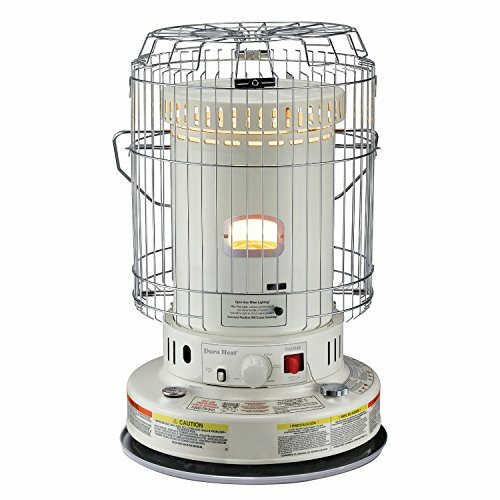 The radiant kerosene heater and convection kerosene heaters, both use wick as a source of burning. The heater should have an auto shut off feature if it overheats for any reason. The best kerosene heater needs to have a carry handle with which you can carry the device wherever you want in your home or garage without coming in contact with any of the hot components. The heating capacity of the heater plays a significant role. You need to know the heat capacity before making the purchase. 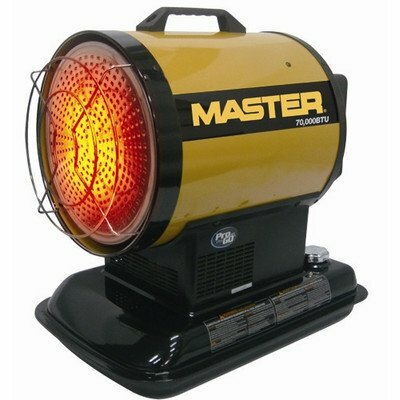 Buy the kerosene heater that matches the space you wish to heat with the power of the heater. The price also plays a major role in making a decision. The heaters come in different price range, and you need to fix your needs and budget so that you do not go overboard. One of the most important aspects that you need to consider is the safety of the heater. Consider all the safety features of the kerosene heater before buying. SengoKu is known for creating the best heaters. No wonder our list is heavily influenced by their ultimate kerosene heaters. “Sengoku HeatMate 10,000-BTU” is not an exception for the quality and can heat up the room up to the 380 square feet. Its fuel tank capacity is 4.5 liter which helps this heater to last longer and keeps providing heat up to approximately 14 hours. Its unique burner design protects from wind and makes it useful for outdoor use. It’s a perfect fit for those who are looking the small kerosene heater which can be used indoor/outdoor and comes at a decent price. One of the best brands in America is Mr. Heater, and one of the best products of the brand is the Mr. Heater F232017 MH9BXRV Buddy. It has all that you need for a kerosene heater for home and garage use. It has an auto shut-off system when you pick it up or detects low oxygen level. Thus, it is safe to use around the kids. It is the best seller based on Amazon reviews. If you are looking out for extremely lightweight and efficient heater, then the Sengoku KeroHeat Portable Radiant Kerosene Heater is the best choice to opt for. 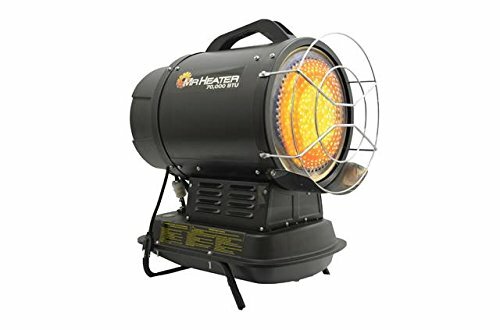 One of the best things about this heater is that it has a reasonable price tag and thus you do not have to shell out a lot of money to buy this heater. 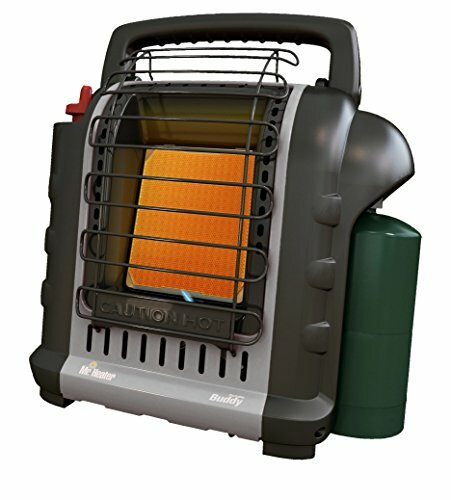 The heater works up to 14 hours, which is great with the fuel capacity of 1.2 gallons. The auto shut off and flame adjuster makes it simple to operate. If you are looking for a small heater for zone heating, then this one is the perfect buy. In case you have a small area to heat, then the Dyna-Glo Indoor Kerosene Radiant Heater is one of the most preferred heaters. It heats up around 500 square feet of space efficiently. The simple operation and built-in safety switch make it one of the most convenient and popular options. The Dyna-Glo Indoor Kerosene Radiant Heater is certified by the safety and quality department, and the best part is that it comes with a reasonable price tag. Perfect for emergency as well as daily use. The heater has a removable tank, so there is no need for you to take the heater along to refill. 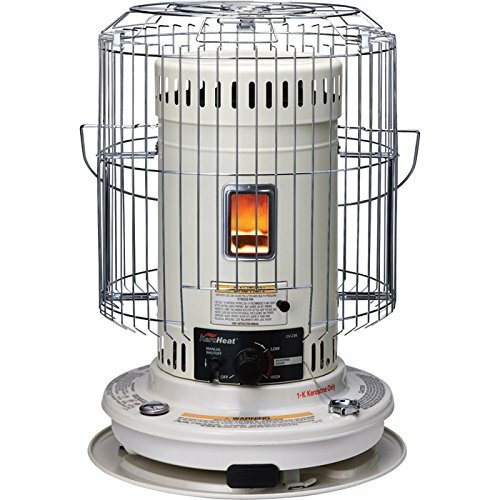 The dura heater is great for heating indoor spaces and projects about 23,800 BTU’s of heat. The heater is more than sufficient to heat up around 1800-2000 square feet of area. The operating capacity is also good and can easily be used for up to 8 to 10 hours on a single tank of fuel. 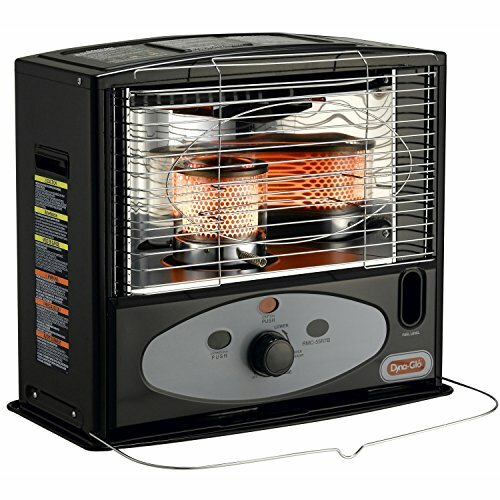 The heater runs on kerosene fuel with no smoke or odor and clean burning. It also features a no-lift heat chamber design to minimize the odor the heater is turned on. The heater also has a protective grill to cover the heated surface area. On the whole, the heater is great for winters and emergency situations for heating purposes. 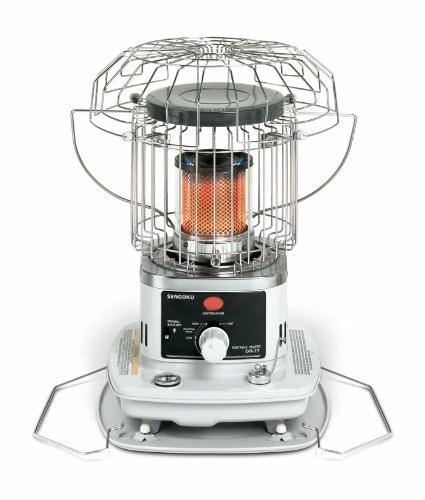 The Sengoku KeroHeat Convection Portable Kerosene Heater can heat the space of 900 square feet. This heater is one of the best options to choose to stay warm during the chilly days. The heater works for 12 hours with 2 gallons of kerosene. The auto shut off and start button makes it very simple to operate. While some people have a, complain that the heater does not last for 12 hours but 10 hours. The Mr. Heater Contractor Forced-Air Kerosene Heater is popular among the people of the chilly areas for its efficiency and excellent performance. It can heat up an area of 1750 square feet with a capacity to hold 6 gallons of fuel and working efficiently for 11 hours. The heater is simple to operate with its start button. It is known to be one of the best options to choose and is also equipped with an adjustable thermostat. This is a product from Enerco, a renowned name in the field of the heaters. Mr. Heater is the one heater that can meet your requirements if you want powerful heating for smaller spaces. It has an output threshold of around 70,000 BTU. The product provides comfortable heating with very low odor and low noise output. The heating coverage is about 1750 to 1800 square feet and a large radiant heat. However, the heat settings are manual so that could be a slight problem for few of you. The unique feature in this product is that it comes with a fuel filter and fuel nozzle. The heater runs on diesel as well along with kerosene so that is again a plus. Assembly of the product is needed and is very simple. This product is really a good choice for small spaces. 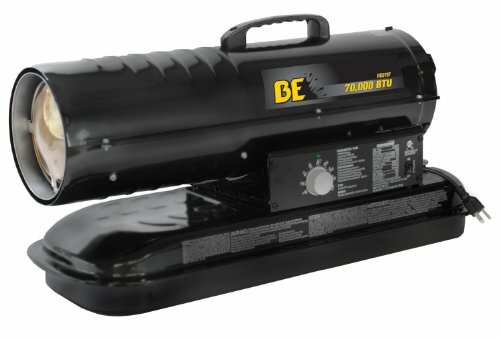 The most expensive heater on the list of best kerosene heater for home and garage is the BE Pressure 70000 BTU Kerosene/Diesel Forced Air Heater. No doubt the heater is costly, but it is worth the price. The heater helps you keep track of kerosene used. The auto shut-off system provides you an assurance of safety. Also, it is equipped with an extension cord and fuel gauge. 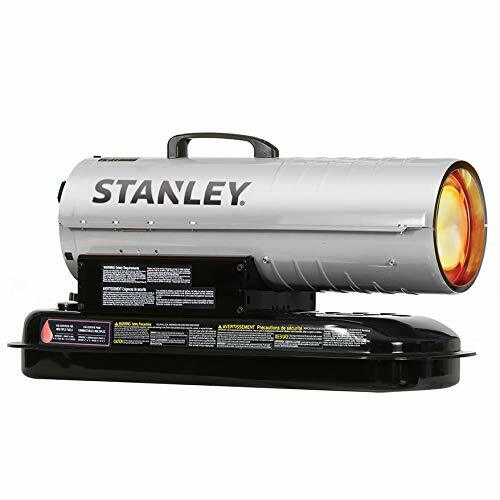 This product from Stanley’s is kerosene and diesel forced air heater with a high heating output of 80,000 BTU’s . It is a CSA certified product that can be used with multiple fuel options like, K-1 kerosene, fuel oil, diesel etc. so, that makes it really efficient and multipurpose. The heater has a great cold start system for powerful and reliable heating. The weight of the product is around 36 pounds hence it can be carried and lifted easily. 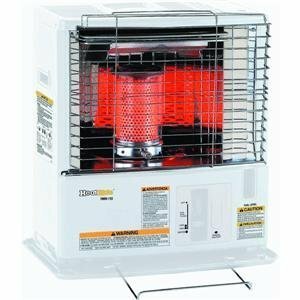 The heater is also designed with an auto safety shutoff system and a sealed electric motor for extra safety. We recommend that you use the heater in ventilated areas and not confined places for effective usage. Overall it is a good buy. 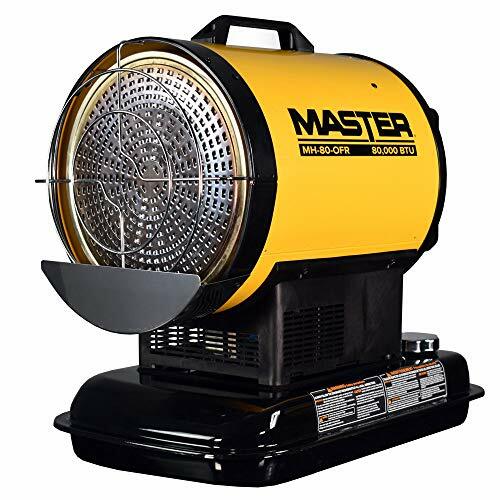 Another worthy addition to the list of best kerosene heaters is the Mr. Heater Contractor Forced-Air Kerosene Heater, which can heat 3000 square feet area for 15 hours with a capacity of 14 gallons of fuel. The oversized tires make it easy for you to take from one place to another. It also features overheat safety sensors, cord storage, auto shut off, high output fan and indicator light. 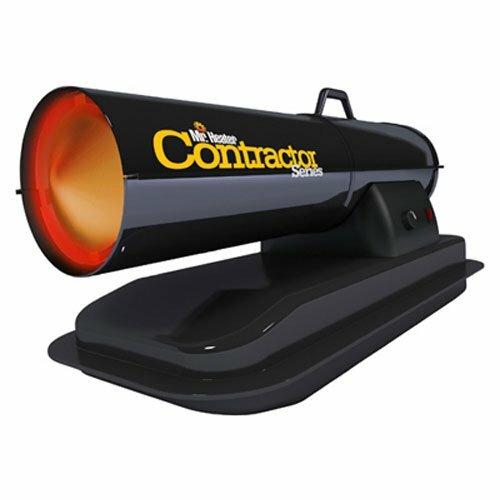 The Master MH-70 heater is a radiant and fan – forced heating system variant, very innovatively designed to provide efficient heating. The heater has a CSA certification capable to heat up an area of about 1750 square feet of area. One can easily operate it for 6-7 hours continuously. The fuel tank capacity is up to 4 gal with fuel consumption of about 0.5 gal per hour. It also has very good electronic controls and an easy- to lift handle and is portable and weighs 32 pounds. It is quicker than your traditional design of jet heaters but the only drawback is that it needs electricity all the time to run and does not operate on batteries. Apart from this, the overall performance of the heater is commendable and it can be used in the garage. Another heater on the list is the Master MH-80 with a radiant capacity of over 80,000 BTU’s. The product is extremely lightweight and is capable of easily heating up an area of about 2000 square feet which is really good. It combines forced air heat with radiant heat for a better heating mechanism. The heater can finely operate for 5-6 hours without any complaints on a full tank of 4 gal of fuel. The major plus point of this product is the fact that it operates on multiple fuel options which makes it very cost efficient and user-friendly. The heater works real quick and is very comfy because of being less noisy. The Master MH-80 also has a safety shut off mechanism to ensure that there is no overheating. All and all it is highly recommended for use in small places and perfectly suitable for your garage etc. 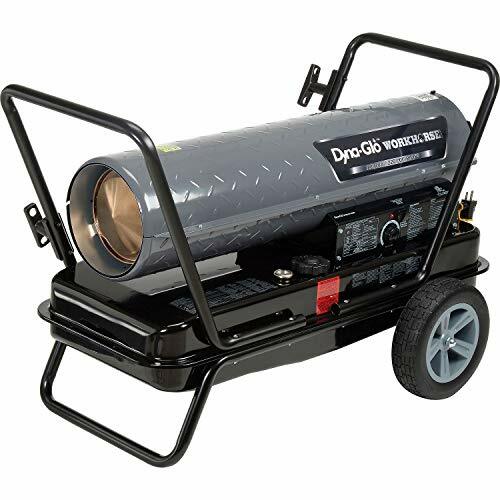 The Dyna-Glo is a kerosene forced air heater which is also a multi-fuel variant. The product is very maintenance friendly and portable to use. The product is designed with a built-in thermostat system for adjustable and desired comfort level settings. For additional safety feature, the heater has come equipped with a temperature limit control for avoiding overheating during operation. The heater covers an area of about 5200 square foot which is large compared to the other heaters. It can operate for 8-10 without interruption on a single tan. The most prominent feature of the design is are the two heat settings of 180 K and 220 K for two heaters making it really unique. It runs on diesel, fuel oil, Jet A and JP-8, as it is multifuel. However, you require proper ventilation to use this product. On the whole, it is a must-have for commercial and construction sites as well. From the list of heaters mentioned above, if we had to pick then it would be between Mr. Heater F232000 MH9BX Buddy, Dura Heat Convection Kerosene Heater, and Mr. Heater Contractor Forced-Air Kerosene Heater.